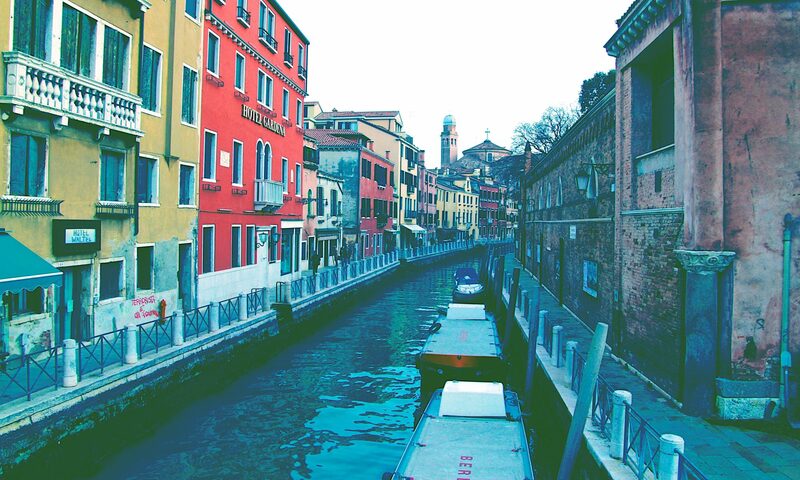 Hidden in the narrow streets nearby Rialto, Rosticceria Gislon is a places populated by students and venetians. Well known for its Mozzarella in Carrozza – fried bread filled with mozzarella and ham or anchoves – it is possible to eat fish salads or other fried stuff with wine or beers. It has toilets and places to sit. Not so far from the train station, on the main route to San Marco, this little takeaway restaurants offers fried fish, mozzarella in carrozza, fried vegetables etc. The fried fish and the mozzarella in carrozza are very good, unfortunately there are no seats or toilets, but they can be found in the square facing Frito-Inn. Difficult to find, it offers a rather unique experience. Directly on Canal Grande, the location is amazing. It is a well known restaurant (average price), but around 6 pm it offers the so-called happy hour, with a rich buffet and drinks for reduced price, absolutely to try in good company. Fondamenta della Misericordia is one of our favourite places to hang out in Venice. In the middle between Rialto and the train station, it is not known by most of the people just going to San Marco. At Paradiso Perduto, you can either sit and eat or just take drinks and food to eat sitting in the canal facing it. The second choice is our favourite, the atmosphere is really cool and chilling. Nearby, there are two other places that are totally worthy the choice: Al Timon for food and Vino Vero for wine. We hope this little post will guide you through the many option Venice has to offer for hungry tourists, because it is not always an expensive city. Avoiding tourist trap should be your first concern, we hope this helps. And, if you find a good spot, share it with us and help other tourists! !